As the successor to the Organisation of African Unity (OUA), which was created in 1963 to eliminate the last vestiges of colonialism in Africa, the African Union (AU) came into existence in July 2002 at the Durban heads of state summit with the more focused goal of propelling African states towards peace and prosperity as the basis for achieving the ultimate goal of political and economic integration of its member states. The AU was modelled on the European Union with structures that included an Assembly of heads of state/government, an Executive in which countries were represented by their foreign ministers and the AU Commission which is the administrative branch made up of 10 commissioners and headed by a President. The transition from OAU to AU was clearly intended to transform the institutional framework for realizing the pan-African vision and mission from what some critics regarded as a mere ‘talking shop’ to an action-oriented forum. It is therefore useful to take stock of the achievements of the AU in its first decade and, this can best be done from two broad perspectives which represent the main goals of the AU mentioned above - peace and prosperity. The AU has clearly had reasonable successes through its direct contribution and collaboration with the international community to settling and minimising conflicts in some of the region’s hotbeds, such as trouble spots in the Sudan, resolving post-election violent conflicts in Cote d’Ivoire and Kenya, and forcing military coup-makers to hand back power to civilian regimes. Unlike the OUA which followed a doctrine of ‘non-interference’ in the internal affairs of member states, the AU has the authority through decisions of its Peace and Security Council to interfere in member states to promote peace and protect democracy, including deploying military force in situations in which genocide and crimes against humanity are being committed. The AU’s unique voluntary ‘Peer Review Mechanism’ by which individual member states agree to be assessed by a team of experts drawn from other states is designed to encourage democracy and good governance. AU observer missions are now sent as a matter of routine to cover elections in all member states, in accordance with the African Charter on Democracy, Elections and Governance (2007). There have also been some hiccups or setbacks, such as the decision by the AU to move its July 2012 bi-annual summit from Lilongwe, Malawi, to Addis Ababa in response to Malawi’s refusal to invite the Sudan’s head of state, Omar al-Bashir, from participating on the ground that he is charged and under a warrant of arrest by the International Criminal Court (ICC) for war crimes: this, in a way, reflects a potential conflict between African regionalism and international mechanisms to promote and protect the rule of law, justice and respect for human rights. Judging from the drastic fall in conflicts and coups, and the increasing number of successful elections in the region in the past decade, it can be inferred that on balance actions by the AU has added value to Africa’s ‘political performance’ . In pursuit of prosperity in the region, the AU has in place declarations and institutions to promote and support economic integration among its 54 member states as the pathway to sustainable development. Progress has been made by the AU commission, in collaboration with international partners and the UN, towards better coordinating and harmonizing development policies and programmes with the 5 Regional Economic Communities (RECs) representing the various geographical regions of the continent. Some of these RECs, such as the Economic Community of West African States (ECOWAS), the East African Community (EAC) and the Southern Africa Development Community (SADC), have been quite active in exploring possibilities to harmonize budgetary and fiscal policies and for a monetary union on the basis of a common currency. Proposals for an African central bank and an African monetary union at the continental level are still on the drawing board, as vested interest and concerns about sovereignty hold back the necessary political will to drive the process. The present experience of monetary union within the EU could also be a source of disincentive. Despite numerous protocols and signing of technical consensus documents to facilitate the free movement of goods and people across borders, the AU’s record in stimulating the removal of trade barriers between countries in the union is less than impressive and the value of intra-African trade is still abysmally low as a percentage of total trade. A myriad of non-tariff barriers to cross-border trade, characterised chiefly by long delays at border crossings and legal and illegal payments which increase transaction costs, is a major obstacle to expansion of intra-African trade. The last AU summit failed to agree on the adoption of a continent-wide trade proposal, but awareness of the importance of trade barriers for economic growth is not lost as a development priority – seeing that theme of the 19th summit, 9-16 July 2012, is “Boosting intra-Africa trade”. A major challenge confronting the AU and its leaders is how to respond to the job and livelihood aspirations of Africa’s youth who account for as much as three-quarters of the labour force in most countries; many have gone to school and attended universities to become productive members of society, but end up being jobless. High and still rising levels of unemployment among young people in Africa prompted heads of state at the AUsummit in Malabo, Equatorial Guinea, last June to adopt a ‘Declaration on Creating Employment for Accelerating Youth Development and Empowerment’. The AU rightly recognizes the demographic dividend to be reaped from the region’s youthful population structure, as numerous countries in Asia have benefited from over the past two decades, and, hence, member states are encouraged to link their growth performance and development pattern to the creation of employment and socio-economic opportunities especially for young people. The AU now pays more attention to international development cooperation and relationship with international partners than has hitherto been the case. This is most obvious in the case of China’s ever growing presence in Africa, which the AU appears to regard as a positive factor. The headquarters of the AU is now housed in a magnificent multi-million dollar complex in Addis Ababa that has been provided by the China as a “ gift to Africa”. Africa’s traditional partners in the West tend to view its relationship with China with some concern and scepticism regarding motive and outcome. Citizens of some AU member states are apprehensive about the consequences on their personal well- being and livelihoods of growing Chinese presence in their national economies. 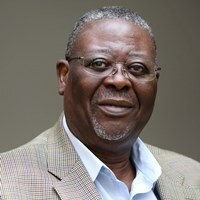 The AU would have to adopt an appropriate strategy to manage international cooperation in an era of globalisation and in a changing world order; it would need to come up with a relevant and practical conceptualisation of ‘innovative and transformative partnership’ which its member states would certainly need to complement national development efforts.